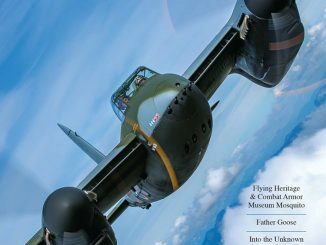 It has been a busy flying season , but unfortunately t here have been several high – profile warbird accidents since our last issue. Two of the accidents were transport – type aircraft with a large number of occupants. While the passengers of the first escaped with their lives, the second resulted in the death of twenty. We do not yet know the cause of these incidents , and we won ’ t speculate in these pages or on any of the Warbird Digest media platforms. The fatal accident was in Europe and involved a commercial carrier using historic aircraft on scenic flights. 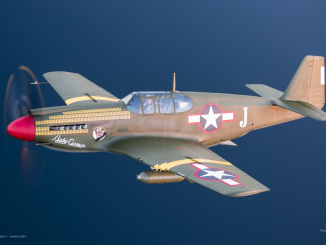 In the United States man y nonprofit organizations are using the Living History Flight Experience program to support the operation of their aircraft providing similar types of flights . 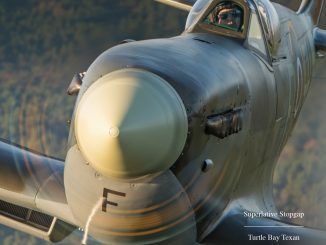 This worthy program has allowed thousands of enthusiasts to experience flying in a warbird while allowing the continued operation of the aircraft. The opportunity to perform these flights is both a privilege and a heavy responsibility. We need to continue to be hyper – vigilant in all areas as we operate historic aircraft for the general public and also guard against a backlash from governmental authorities due to these type s of accidents. I would encourage each of you to spend a few moments thinking about what you can personally do to improve the safety culture in our community . The interest in Vietnam War – era aircraft continues unabated . On the heels of our article about the Cavanaugh Flight Museum ’ s A – 1H Skyraider Wiley Coyote in our last issue is the debut of the Greatest Generation Aircraft ’ s B – 26K Special Kay , resplendent in its camouflage paint and carrying a full complement of ordnance. In this issue we bring you the complete history of Special Kay . 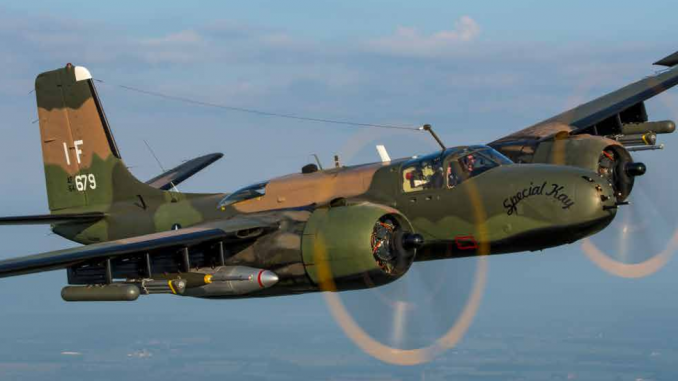 With widespread support from former B – 26K pilots and ground crew, the aircraft underwent an eight year restoration and the results are simply spectacular. The A – 26 is one of the more neglected of the warbird bombers , and the entire crew deserves our congratulations on returning this rare warrior to the air. One of the more unusual aircraft to make an appearance on the warbird scene and in the pages of Warbird Digest is John O ’ Connor ’ s F4U – 7 Corsair , which has appeared in a relatively obscure gray and white paint scheme used by the United States Marine Corps in the late 1950s. The last of the Corsairs, the F4U – 7 was built exclusively for the French but has many similarities to the USMC AU – 1 ground attack variant. With O ’ Conn o r ’ s aircraft having no U.S. provenance , he chose this unique scheme to honor a Lt. Colonel John Bolt, USMC. The plane definitively stands out in a line of Navy blue Corsairs while telling an important story about the swansong of the Corsair in U.S. service. While this particular Corsair ha s an interesting military history , its most unforgettable role was that of one of the aircraft used in the very popular television series Baa Baa Black Sheep . In fact, until recently repainted the aircraft still wore the Glossy Sea Blue applied for the show ! A n entire generation of now middle – age warbird enthusiasts watched this F4U on a weekly basis , and I wonder how many of us had our interest in warbirds sparked by this very TV show . 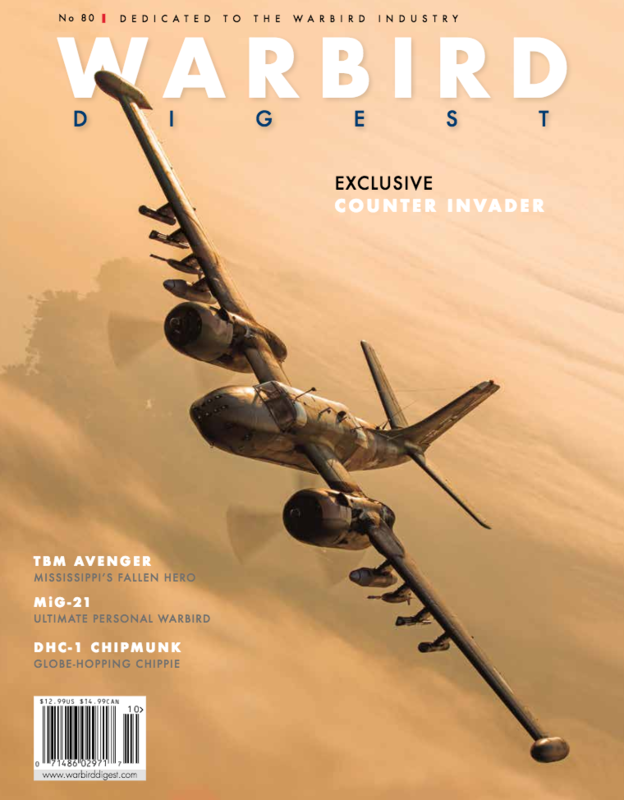 We have some exciting things on the horizon at Warbird Digest . We ar e currently compiling a Warbird Industry Directory that will be distributed to all U.S. and U.K. warbird owners. This directory will be a reference guide for warbird operators to find the services and parts necessary to keep their aircraft in the air. If y ou would like to participate in this directory, contact Moreno Aguiari at mo AT warbirddigest.com . 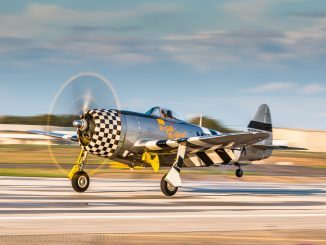 Thank you for your support of Warbird Digest ! 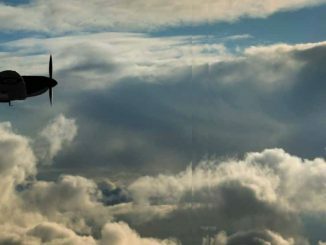 Flight Log – UPDATES FROM AROUND THE WORLD, Progress reports from the warbird industry, including the first flight of the sole surviving Brewster F3A Corsair. CALLSIGN: NIMROD – After nearly a decade, the world’s only civilian A-26A Counter Invader has joined the ranks of flying warbirds. Warbird Digest brings you the story of how an impressive group of volunteers restored the aircraft they have dubbed Special Kay . MISSISSIPPI’S FALLEN HERO – One man had a quest to honor local World War Two veterans. This resulted in the restoration of a TBM Avenger for a very special purpose: to honor a fallen warrior. 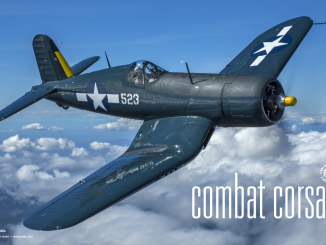 SHEEP’S CLOTHING – John O’Connor recently refinished his Vought F4U-7 to represent an AU-1, an extinct ground-attack version of the Corsair. Now resplendent in a rare gray-over-white paint scheme, this Corsair had an interesting career both in the military and on the television screen. GLOBE-HOPPING CHIPPIE – Richard Wilsher’s DHC-1 Chipmunk has an interesting history, having participated in a flight around the world. Warbird Digest delivers the story of Wilsher’s dedication to preserving this Chipmunk’s history. Flight Check – THE ULTIMATE PERSONAL WARBIRD, Warbird Digest takes you for a thrilling flight aboard a civilian MiG-21 Fishbed.